Drink.well. 's new summer menu, including the melon salad, is delightful. Photo courtesy of Drink.well. Another month, another batch of new restaurants to discover and seasonal menus to try. 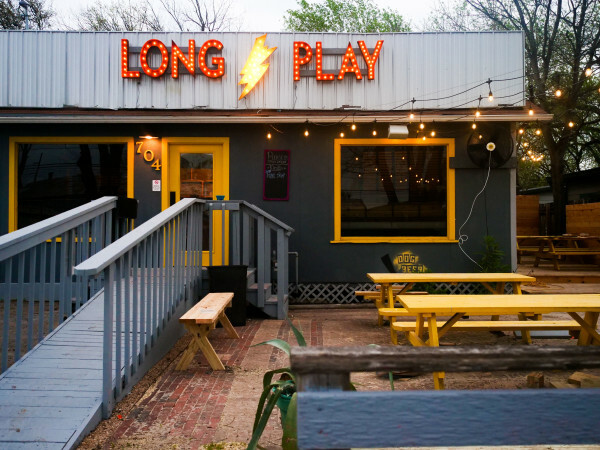 Here are eight Austin restaurants offering something new right now — from special menus to new chefs and brand-new concepts. One of our favorite campus-area restaurants is offering a special three-course summer dinner menu, available now through the end of August. Chef Daniel Bressler is a recent addition to the team, and his new menu continues the restaurant's focus on new American cuisines inspired by Texas flavors and made with Texas ingredients. The bar is also showcasing summer flavors. For $35, you will get your choice of appetizer, entrée (with three options available for a $10 upgrade), and dessert. Dishes include heirloom tomato salad with buratta, aged balsamic, basil, and smoked pine nuts; charred corn fritters with tomatillo jam, pilsner aioli, and cilantro; chicken-fried quail with cabbage, jalapeño, apple, sorghum, and celery seed; seared Chilean sea bass with sunchoke puree, roasted cauliflower, and grapefruit gastrique; and ginger vanilla cheesecake with balsamic strawberries, red wine gelee, and peppermint chocolate. Chef Pablo Gomez and wife, Diana, spent painstaking months preparing for the opening of El Chipirón, the embodiment of their lifelong dream to bring traditional tapas to Austin. The airy, modern space is anchored by a curvy stone bar displaying a number of tapas and pinchos. Gomez's approach takes classic dishes and adds modern touches while preserving the original flavors. We were surprised by the porrusalda, a cold soup similar to vichyssoise flavored with paprika and topped with pickled pimientos piparra; the salad of garbanzos and cubes of Spanish chorizo with minced onion and cucumber, simply dressed with olive oil and parsley; and the salmorejo y gambón, a large Gulf shrimp accompanied by a drizzle of salmorejo, a traditional chilled soup similar to gazpacho. The bar offers 20 to 30 wines and a few beers from Spain, plus a handful of locally crafted brews. The friendly bartenders also pour sherries and vermouths to accompany your pinchos, but the house specialty is the Spanish-style gin and tonic, painstakingly handmade and featuring unique ingredients like rose petals — sincerely the best G&T we've ever had. 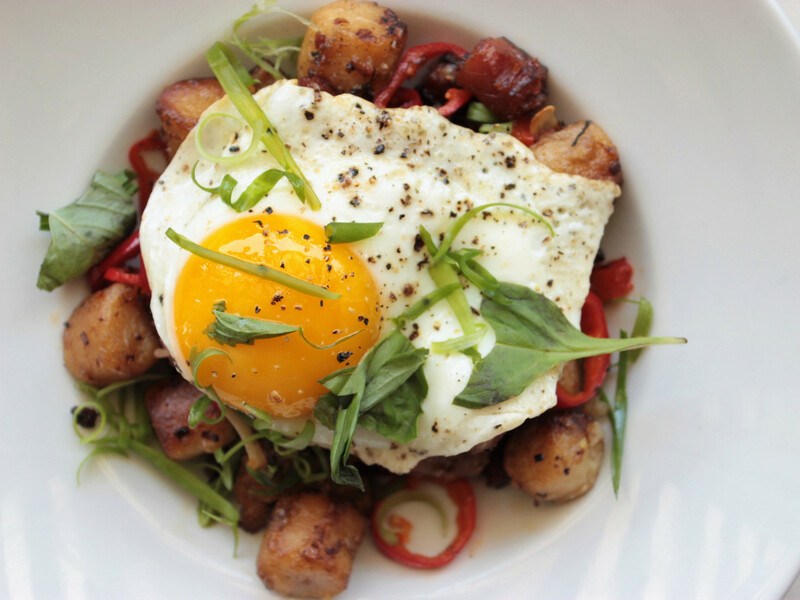 The team has recently added a brunch with classic huevos rotos: poached eggs with jamón ibérico, chorizo, and pimiento padrón. Executive chef Justin Bumbalough, formerly of Hillside Farmacy and Launderette, just rolled out a summer menu at the North Loop gastropub that blends old world and Mediterranean cooking techniques with flavors from his Southern roots. 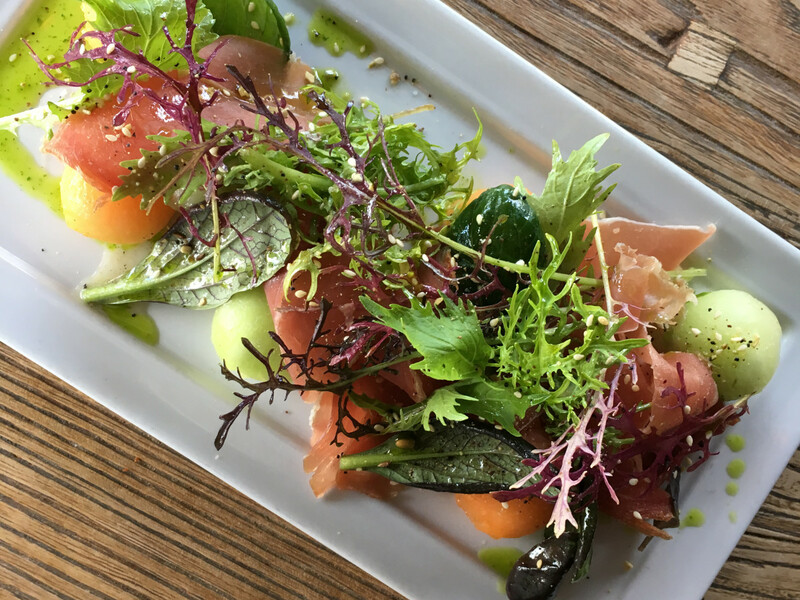 New dishes include hummus and tahina with crispy cauliflower, blistered peppers, cilantro crema, and house-made grilled pita bread and a fantastic, eye-popping Texas melon and jamón serrano plate with charred fennel, mixed greens, herb oil, toasted pecans, and dukkah spice. Don't overlook the fried chicken skins served with barbecue sauce, pickled serrano peppers, sesame seeds, and cilantro — the perfect snack to pair with Drink.well. 's exciting cocktail program, a local beer, or a glass of wine. Speaking of cocktails, bartender extraordinaire Becca Yannone has also introduced the annual Tiki menu, featuring playful, boozy drinks like The Pool At The Holiday Inn, blending Del Maguey Vida mezcal and overproof Rhum Damoiseau with banana and tropical citrus; Two Tickets to Paradise, a tart Jungle Bird variation with Rhum JM Blanc, Campari, Liber & Co. pineapple gomme, and crisp lime; and the amazing Eddie Would Go, a special beer-tail collaboration with Jester King Brewery's Rare Corals farmhouse ale, brewed with guava, cantaloupe, and toasted coconut and blended with Wray & Nephew Jamaican rum, strawberry, Lustau PX Sherry, fresh lemon, and blackstrap bitters. Fans of this lovely Barton Springs restaurant will be pleased to know that, after the transition towards a more traditional Italian-American menu, the food at Juliet is just as delicious and the ambiance is even warmer, with welcome touches of color and a custom Judy Paul mural. Executive chef Jacob Weaver's new menu features familiar fare with gourmet flare. Expect nostalgic favorites like spaghetti Bolognese, linguini with clam sauce, veal Marsala, cioppino, chicken scarpariello, and chicken piccata, all beautifully presented and impeccably executed. The old-school theme continues with dessert, featuring a spectacular spumoni sundae and a decadent turtle cheesecake. The team has added a "Prix Fixe Power Lunch" menu with an antipasti and entrée for $15.95 per person, available Monday through Friday from 11:30 am to 3 pm. 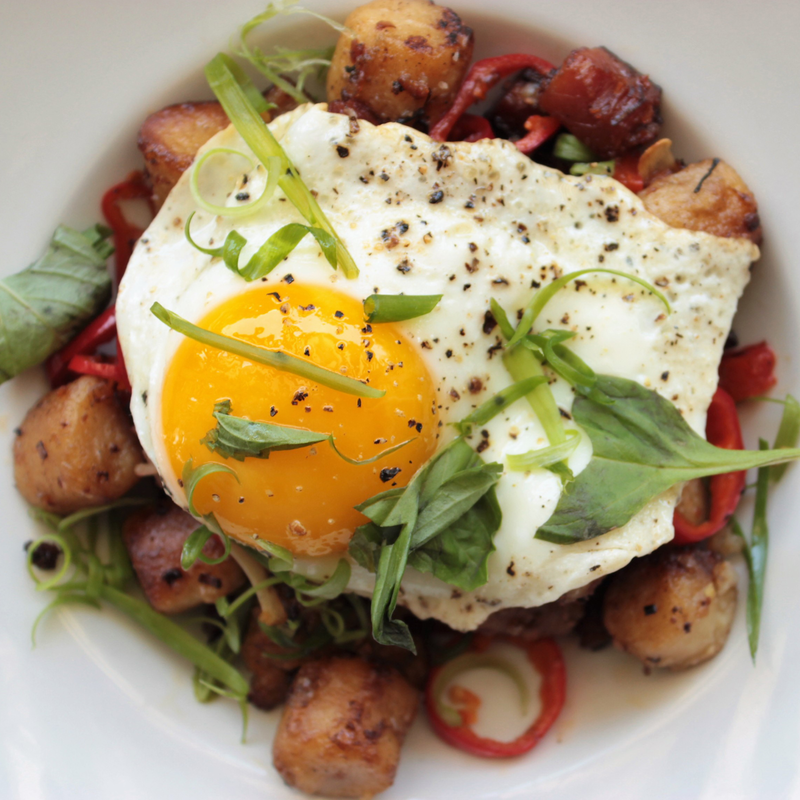 We were thrilled to see that the brunch risotto made the cut, served alongside dishes such as gnocchi hash and truffle polenta and egg, with rosé by the bottle, brunch cocktails, and carafe options. 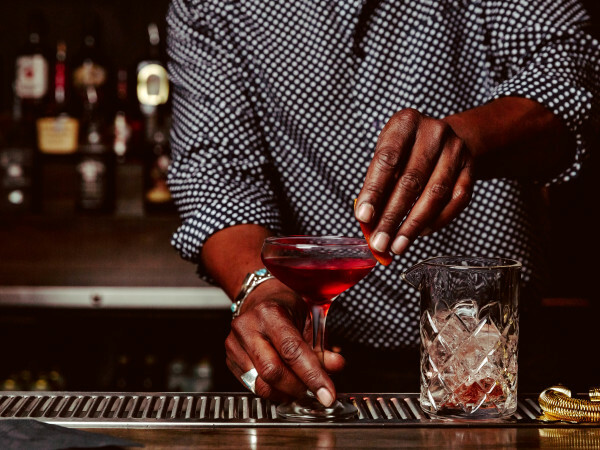 The bar program still serves a great negroni in addition to refreshing seasonal options like Italian Sunrise, Aperol Spritz, and New York Sour. Julio-Cesar Florez, former chef at Isla, Malaga, and Hyde Park Bar & Grill, is the new sous chef at this informal Japanese outpost on SoCo. Florez, a native of Lima, Peru, will be working alongside executive chef Jay Huang and contributing to the overall menu direction. Every Friday, Saturday, and Sunday, the team will be presenting a five-course chef's tasting menu showcasing nikkei, the popular Japanese-Peruvian cuisine stemming from the large Japanese population living in Peru. 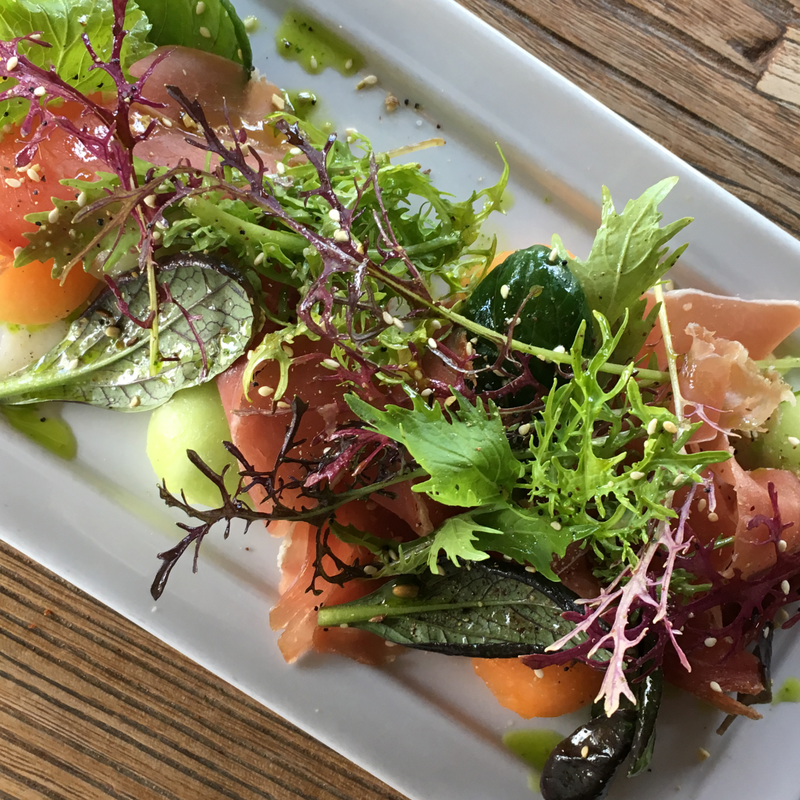 Expect items such as hama causa, a traditional Peruvian potato mash with aji amarillo, hamachi, negi, crispy salmon skin, and sesame kewpie mayo or the Hawaiian kanpachi with sauce midori, pickled peaches, figs, and watermelon. Lucky Robot features a sake-based cocktail menu, as well as a great selection of craft sake (including locally brewed Texas Sake junmai nigori). Happy hour, available Monday through Friday, also includes $15 sake punch carafes all-day Wednesday. Never mind the odd name — this cozy east side space is dishing outstanding modern cuisine in eye-popping, artful presentations, using ingredients from local sources and unique herbs and flowers from its own garden. Surprises abound one bite after another, starting with warm buckwheat and masa corn bread served with honey-miso butter and followed by the a king salmon aguachile (although there was no chile in the agua — a purist would describe it as a crudo) with watermelon, aloe, and basil. With great consideration to people who can't eat gluten, the sensational fried chicken is breaded with chickpea flour, which gives it a crunchy, moist crust encasing the juiciest meat. The accompanying sweet potato salad, spicy sambal paste, and house-made buttermilk dressing make perfect companions. Pitchfork Pretty is also open in the mornings, serving breakfast sandwiches and bowls, pastries, coffee, and a variety of organic, loose-leaf teas. Although the restaurant doesn't serve lunch currently, a new happy hour features discounted snacks like oysters with a smokey mignonette and adorable pickled quail eggs. The cocktail program is solid, with refreshing options like the Thirst Squasher made with Highborn gin, ancho chile, squash leaf, bay leaf, tomato, and vanilla. The beer and wine list is short but sweet, chosen to match the farm-fresh fare. This New York-style pizzeria is a welcome addition to the Round Rock dining scene. The menu by native New Yorker and executive chef Clint Elmore features hand-tossed thin crust pizza, hot and cold sandwiches on fresh baked bread, a selection of family-style Italian dishes, and reinterpreted East Coast favorites. The lively, family-friendly atmosphere has a fun NYC vibe with white subway tiles covered in graffiti, photos of iconic Big Apple landmarks, an excellent soundtrack, classic video games, and an outdoor pavilion for live music and yard games. We liked the truffle tater tots with Parmesan and parsley as a snack while sipping our refreshing frozen New York Sour. We also enjoyed the Don Ho pizza, Elmore's take on the classic Hawaiian made with pancetta, Fresno chiles, Thai basil, Grana Padano, and mozzarella. The signature Hot Honey pizza features pepperoni, house-made Italian sausage, ricotta, Grana Padano, and Mike's Hot Honey. Kids will love the house-made Spaghetti-O's or the hearty lasagna. 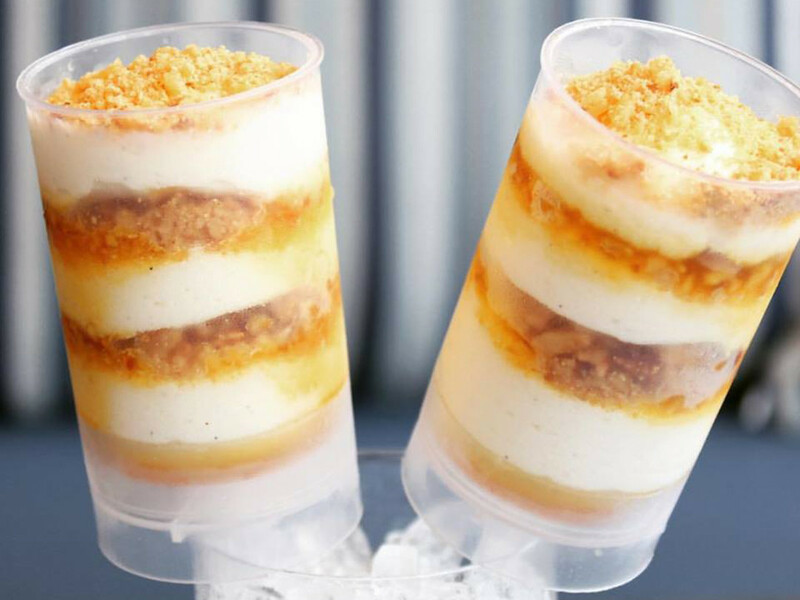 Other offerings include soft serve ice cream and tiramisu for dessert, a great selection of craft beer, and cocktails, including two rotating frozen taps. PS 35 recently started lunch and happy hour service; the latter is available from 3 to 6 pm, Tuesday through Friday, and all day Monday. This lovely basement spot has a new chef de cuisine: Caleb Higginson, former sous chef at Central Standard and chef de partie at the historic Austin Club. 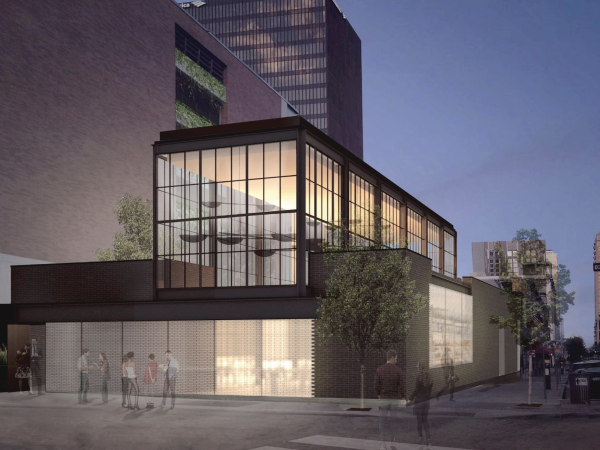 He is currently offering a rotating summer menu of modern Italian-American specials and rolling out a new lounge lineup with items for dining at the bar or on the second-story terrace. We were wowed by his take on classic baked clams, which he has turned into a clam cake — think crab cake, but with Manila clams, breadcrumbs, garlic, and parsley perched over an excellent lemon-shallot-herb butter. The grilled octopus appetizer was as tender as we've ever had, served with shoestring potatoes, roasted red peppers, and macerated tomatoes. The seared sea scallops with asparagus, pistachio purée, roasted garlic, caramelized onion, grilled corn succotash, and crispy guanciale was our favorite dish, but even the simple-sounding spaghetti al pesto was a revelation. 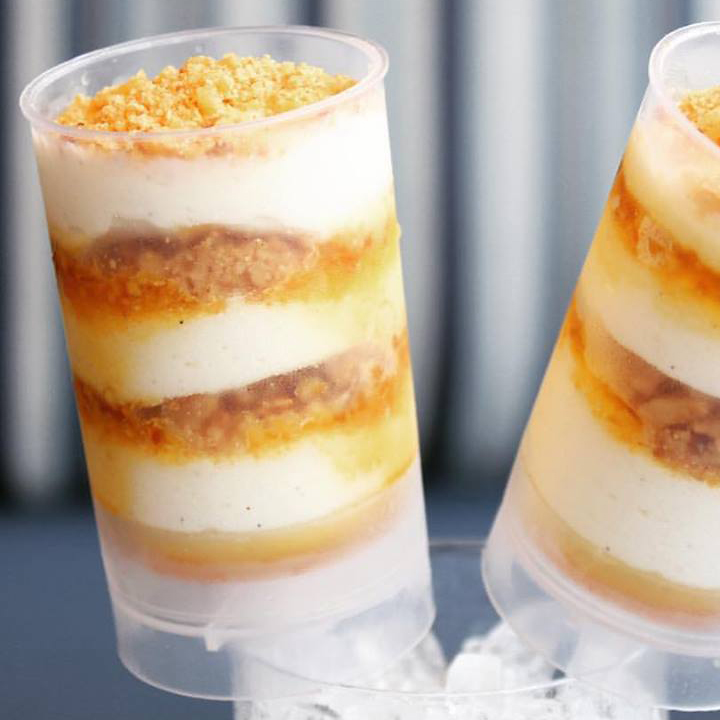 For dessert, try the dreamsicle or tiramisu pops for something fun and refreshing.